Choose Armored Sealcoating for QUALITY Services! 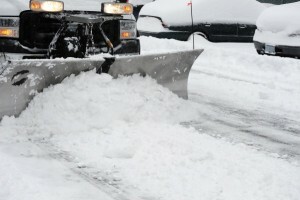 We provide asphalt maintenance, sealcoating, and snow plowing services in Lake Geneva and throughout Racine and Kenosha County. We are dedicated to prolonging the life of your pavement with quality materials, superior experience and extreme attention to detail. We use the best materials and we provide the LONGEST results possible for your asphalt seal coating. Our seal coat surpasses the competition, lasting 3-5 years vs. the lower end 1-2 years most companies provide. On-going wear and tear mixed with the harsh effects of Wisconsin weather can be hard on your asphalt pavement. Our commercial and residential seal coating services help prolong the life of your pavement and keep it looking great! Our quality asphalt seal coat will help protect your driveway or parking lot from harsh UV rays, salt, motor oil, water and other damaging elements. Choose Armored Sealcoating for a quality seal coating that will last longer than the competition. If you have a pothole problem, choose Armored for asphalt patching and pothole repair. We are happy to serve residential and commercial clients throughout Lake Geneva with superior patching services. Let’s schedule an appointment so our professionals can evaluate the degree of damage to your pavement and recommend an efficient, cost-effective repair solution. Professionally done commercial asphalt striping is important to control both foot and vehicle traffic in your lot. You want to maximize the usage of space, keep traffic flow efficient, and make the area safe for pedestrians. We have top grade equipment and substantial experience to make your parking lot efficient and look great! We will even provide striping services between seal coating jobs on an as needed basis. Need firewood in Lake Geneva? Whether you’re stocking up on wood for bonfires or need firewood to heat your home, Armored has what you need. We sell both hardwood and oak firewood; with prices starting at $100. We can also sell you firewood in bulk for your commercial uses.